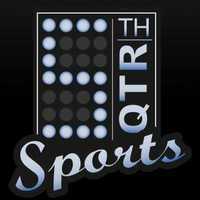 5th Quarter Sports is a co-ed sports and social community dedicated to providing a fun and competitive sports environment. Our goal is to organize athletic events where our members can have fun both on and off the court (or field). Our events include tournaments, pick-up games including flag football, volleyball, basketball, and dodgeball, game watches, sports leagues, and social events of all kinds. 5th Quarter Sports was founded in San Diego by a group of athletes with a passion for competing with an even greater passion for having fun. 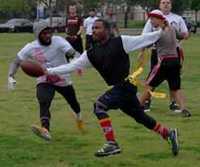 5Q is a great place to meet new friends in San Diego or just to go have a good time playing your favorite sport. Even if you play Flag Football or Basketball, we are one big community with one thing in mind, Having Fun! We welcome players of all ages to come on out to an event and see what it is all about.